An ancient spiral staircase to the sun. 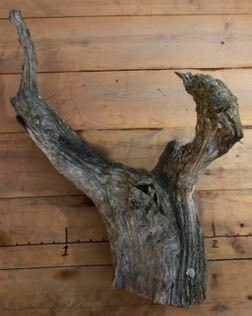 Naturally weathered driftwood is often used for making a Phoenix graft, or tanuki. 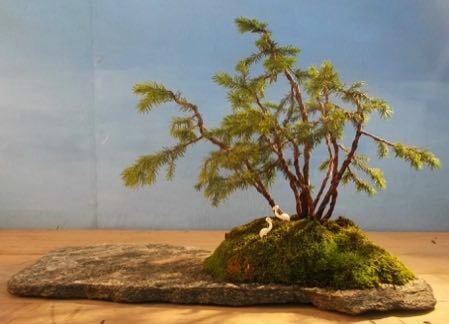 It is also used in ikebana, and as a bonsai accent. 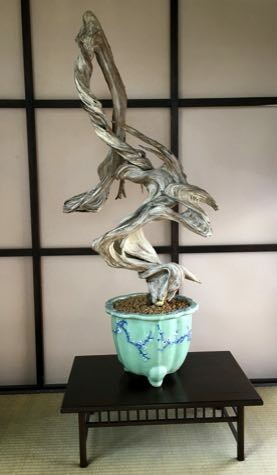 Making a Phoenix graft is a fun way to create an ancient and beautiful looking bonsai in just an afternoon. 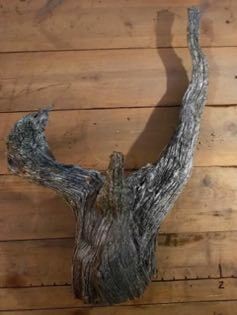 To make a Phoenix graft a young, flexible tree is inserted and grown into a groove carved into a piece of driftwood, creating a tree with an aged character from a plant with youthful vigor. Design options are only limited by your imagination. 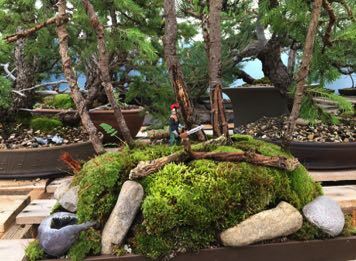 The specimen at left is one I made several years ago using two spruce seedlings attached to a piece of juniper driftwood. 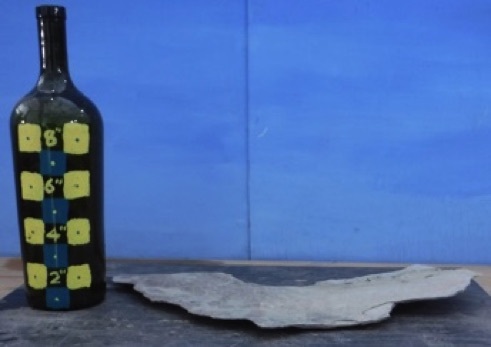 I use a couple different kinds of wood, all of which have been naturally preserved in their own resins, are highly rot-resistant, and have already been exposed to the elements for at least several decades. Although the wood already has a weathered character, it can be further enhanced with carving. Newly carved areas will turn gray to to match the rest of the piece after a few months outdoors. Rocky Mt. 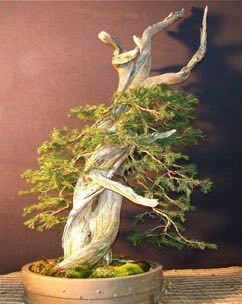 juniper: Used for cedar chests. Light, but very hard, even brittle. Very rot resistant. The most popular for Phoenix grafts. 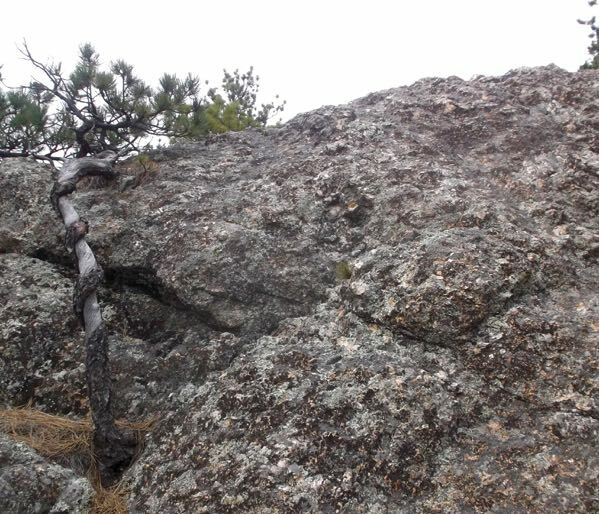 Utah and common juniper: Similar to Rocky Mt juniper, but even lighter. Ponderosa pine: Heavier and more resinous than juniper. Grain pattern may be more intricate and irregular, but not as spiraling as juniper. 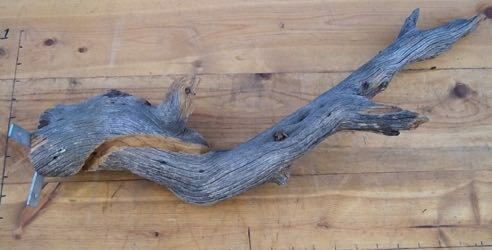 Right: A decorative piece of driftwood from an ancient juniper on display at the Brooklyn Botanic Gardens. I can carve the groove and attach mounting hardware and wood preserver to the base of any piece on this page for $25. Special: Order several pieces together and take $5 off each additional piece. Shipping will usually be at the cost of the largest piece and then up to $5 for each additional piece. Additional pieces will not always require additional shipping. Item # D1: Ponderosa pine. Price $45. Shipping $35. Comments: Stone imbedded in trunk. I have a little more driftwood, but it's almost all pine right now. I'll put more juniper wood up as soon as conditions allow getting out to collect some. 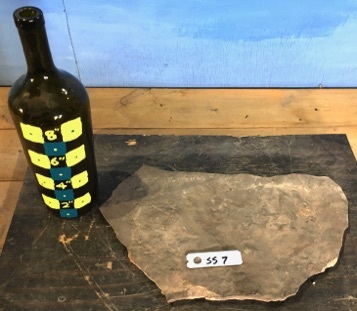 Item # SS1: Stone slab. 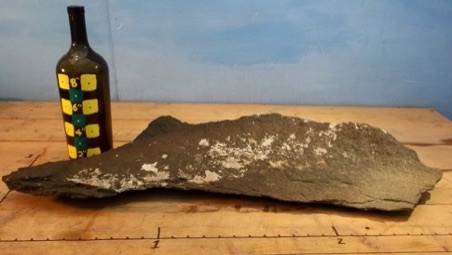 Black basalt from Wyoming. Slightly curved. Comments: I imagine a narrow grove of spruce trees in this. 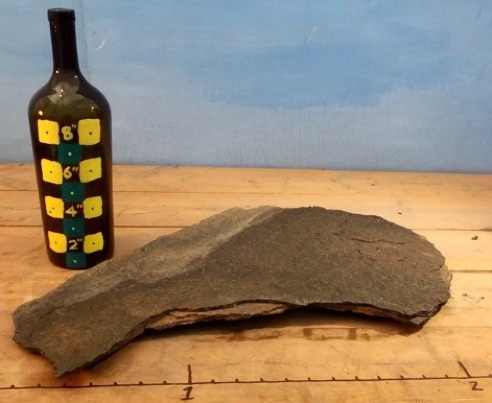 Item # SS2: Stone slab. 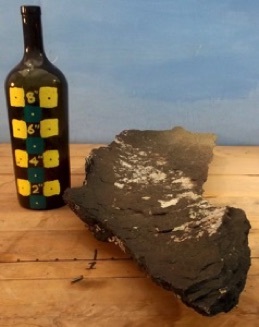 Black basalt from Wyoming. Very slightly curved. Approximate size: 24"x12". Price: $40. Shipping: $30. 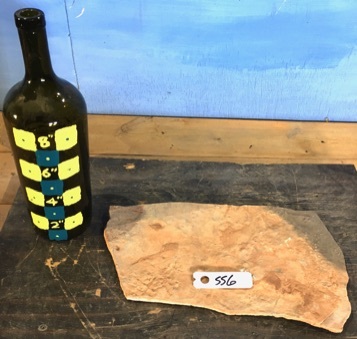 Item # SS3: Stone slab. Wyoming shale. Very thin. Slightly curved. Approximate size: 17"x6". Price: $25. Shipping: $15. 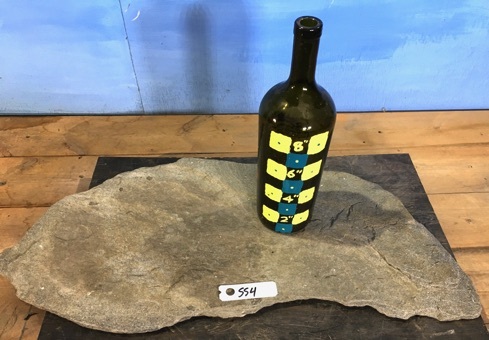 Item # SS4: Stone slab. Black Hills slate. Very thin. Flat. Approximate size: 12"x27". Price: $65. Shipping: $35. 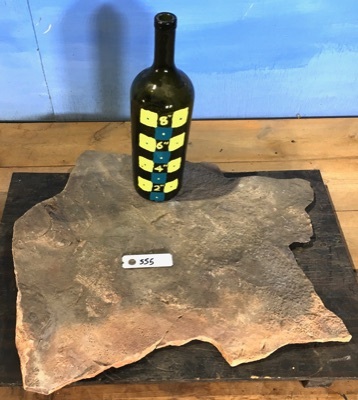 Stone slab. Wyoming shale. Very thin. Flat. Approximate size: 15"x21". Price: $55. Shipping: $35. Approximate size: 8"x14". Price: $25. Shipping: $15. Approximate size: 10"x16". Price: $30. Shipping: $15.